This well-established pet grooming facility has catered to this loyal, local market for years. Whether your cat, dog, bird or sheep need grooming, it has been the favorite spot for all local animal lovers. With a well trained staff that work in unison with the owner, this long-standing business is seasoned and should continue to be a steady earner for years to come. Location and Facilities: The 850 square foot facility leases for $3,000 per month on a lease valid until January 2016 with options to be determined. All of the facilities furniture, fixtures, equipment, inventory and goodwill are included in the sale. The business has a large grooming area and has the ability to handle multiple animals at one time. It has a small retail area that offers many convenient items for pet lovers and an ample break room with a washer and dryer. 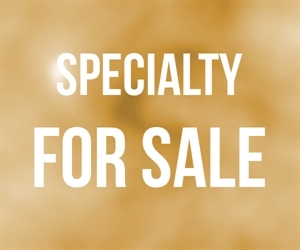 Market Information and Position: The current owner has focused on the service aspect of the business and has limited retail offerings. A new owner may choose to sell pet food and other pet supplies as the audience of customers who frequent the shop are not only pet lovers, they tend to have higher discretionary income. Competition: While there are other local pet groomers, this is most likely the longest running grooming business in the area and has a long-standing loyal clientele.